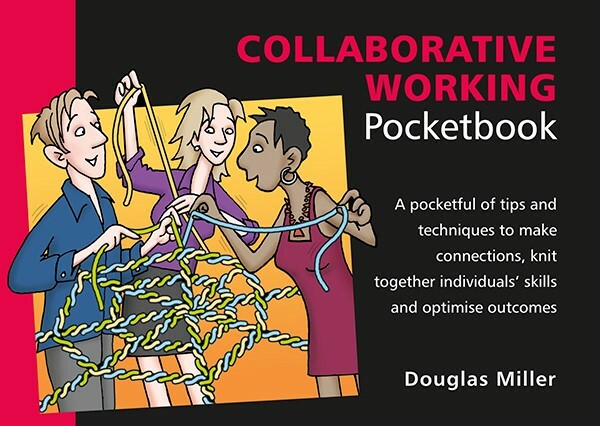 “Within us, collectively, there lives brilliance, even genius, which, if harnessed in the right way, can transform our work”, says author Doug Miller in the Collaborative Working Pocketbook. Collaborative working is quite simply a dynamic method for solving problems and for creating and exploiting opportunities through two or more people. It allows you to be the best version of yourself in a way that benefits the group you are part of. At the heart of collaborative working are seven core behaviours – the collaborative habits. Each of these habits – trust, purpose, humility, connectivity, curiosity, disagreement and control – is described in a separate chapter and Miller explains how they can be applied from both an individual and team perspective.